When I made my Red Velvet Cinnamon Rolls using cake mix, I couldn’t stop thinking about an Orange Sweet Roll version. 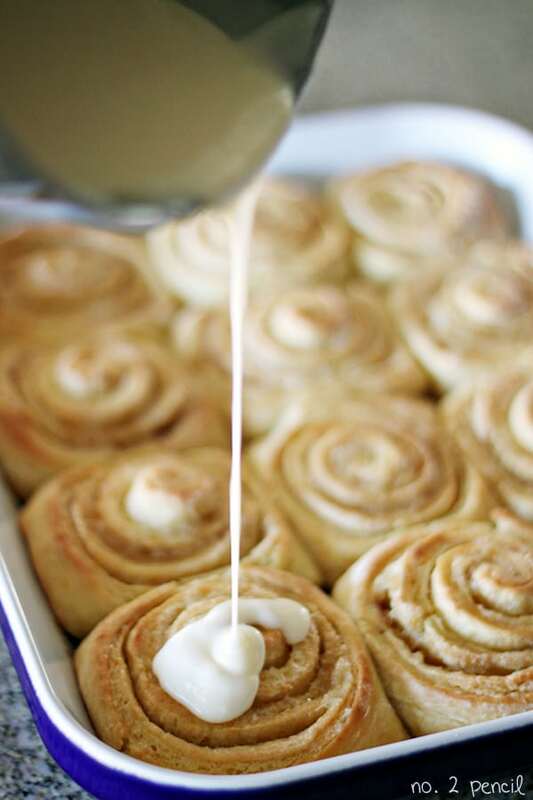 My family loves Orange Sweet Rolls, and I knew they would love this recipe. 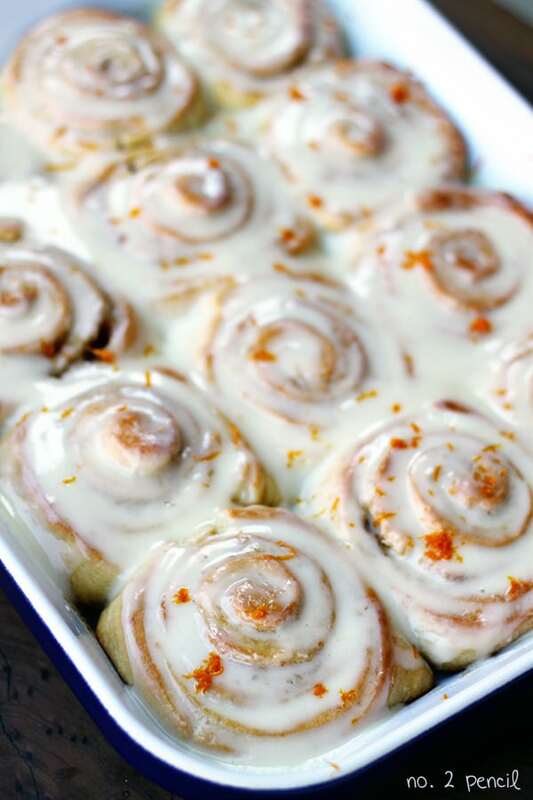 Tender, sweet rolls with fresh orange zest in the dough smell absolutely heavenly baking. 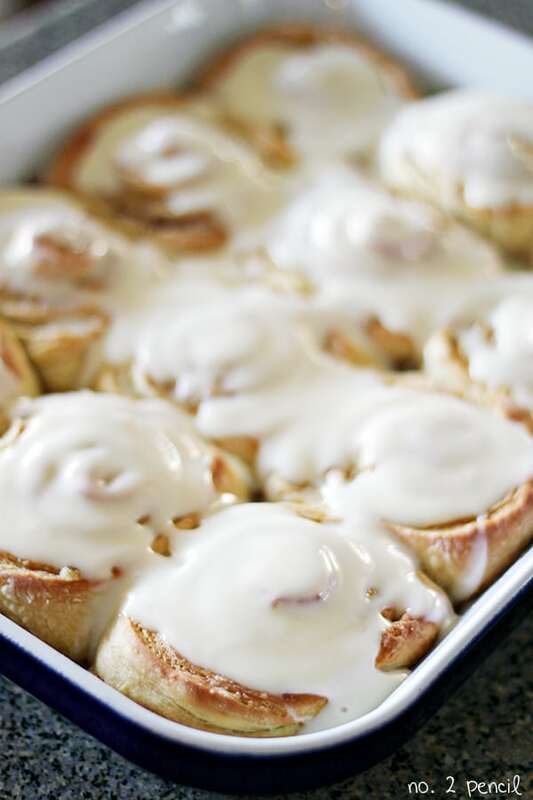 Drench them in my Orange Cream Cheese Glaze for an amazing sweet roll, perfect for breakfast or brunch. These Orange Sweet Rolls made with yellow cake mix are absolutely delicious, and I can’t wait for you to try them! These take about 4 hours from start to finish, mostly inactive prep time. In a large bowl, combine flour with orange zest and whisk to evenly distribute. In the bowl of a stand mixer, combine two packages of active dry yeast with warm water. Stir until dissolved. Add cake mix, flour, vanilla and salt. Use dough hook attachment to knead dough together, just for a minute or two. Move to larger bowl, cover, and let rise for about an hour. Punch dough down after an hour, and let rise again for another hour or until doubled in size. Use plenty of flour on a clean surface and turn dough out. Shape into a ball, then roll into a rectangle shape, mine measured about 28×17. Spread softened butter over dough. Sprinkle with brown sugar and white sugar. Start from farthest edge and roll dough tightly into a long skinny log shape. Slice into 24 rolls. While the rolls are baking, prepare cream cheese frosting. With paddle attachment on the stand mixer, combine room temperature cream cheese with powdered sugar. Beat until well combined, then add a pinch of salt. Add orange juice until you have a pourable consistency. 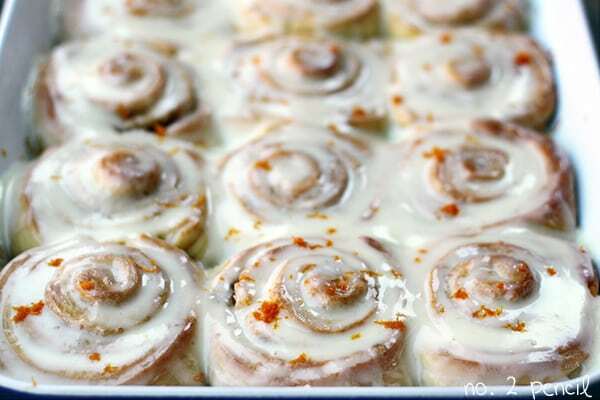 Pour on warm rolls and enjoy. Optional, sprinkle rolls with additional orange zest. I’d love it if you’d check out my dip recipe content info & vote for a chance to win $1500 yourself!! 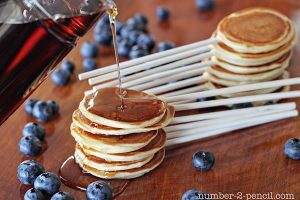 These looks delish! I am adding them to my baking list for next week:) Thanks for sharing! Yum.. anything orange or lemon is right up my street..
wondering tho, why even use the cake mix? the recipe would make orange rolls w/o it ? I love anything orange or lemon too! The cake mix is a nice shortcut, with traditional cinnamon rolls, you would add oil/butter, milk, sugar, and anything else the recipe calls for. YES PLEASE! I could seriously wake up to this goodness every single morning. Thank you so much for sharing this fantastic recipe with us! I saw you featured on Tatertots and JEllo and came on over. I can’t believe how good these rolls must be, I will definitely be making them soon. And I’m making your slow-cooker ribs too. Is this something you could prepare the night before and then bake in the morning? I would love to take these warm to work! I love orange anything, liked this recipe but I did make a few changes. I opted for using an orange cake mix first, than I followed the steps for making the dough only I used a bread machine and continued through the rest of the steps for preparation. When I got to the filling I decided to mix both sugars together and added 1/2 a cup of cinnamon to it and mixed until completely incorporated together. For the topping I added some toasted slivered almonds for a final touch. They looked and tasted great. thanks for a great start to my breakfast, I will make these again! OMG these are so good! I made them today and we’re all licking our plates! I did add some cinnamon to the filling and I mixed some zest in with the glaze rather than sprinkling it on top. 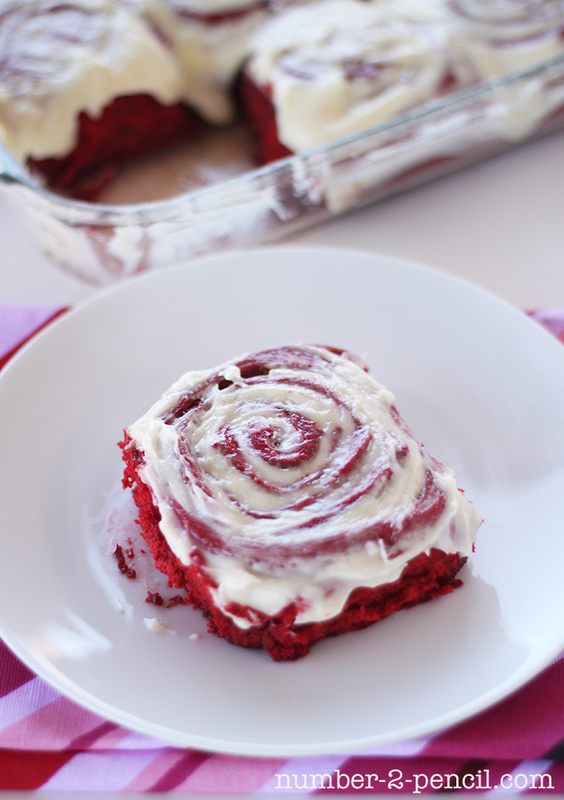 I think I’m going to have to make your red velvet cinnamon rolls next time!